Chris Jones is a quadruple threat as a singer, a songwriter, a guitarist, and, thanks to his role hosting SiriusXM’s Bluegrass Junction, as one of the most widely heard broadcasting voices in bluegrass music. His immediately recognizable voice, warm sense of humor and abundance of talent have combined to make him one of the music’s most distinctive personalities, and one of its strongest artists. Following apprenticeships with bluegrass legend Dave Evans and Chicago’s durable Special Consensus, Chris moved to Nashville in 1989 as a member of the band Weary Hearts, where his colleagues included Ron Block (Alison Krauss & Union Station), Mike Bub (Del McCoury Band, 18 South) and acclaimed mandolin master, the late Butch Baldassari. Forming Chris Jones & The Night Drivers in the mid 1990s, he’s led the band through a set of stellar recordings and tours while appearing and recording with some of the world’s most respected musicians including The Chieftains, Earl Scruggs, Vassar Clements and Tom T. Hall. He has performed on the The Grand Ole Opry with Laurie Lewis, Lynn Morris, and The Whitstein Brothers. And, while the Night Drivers have made extensive use of his original songs, Chris’ songs have also been recorded by other artists, including the Gibson Brothers, Lou Reid & Carolina and The Chapmans. Chris’ range of talents took center stage at the IBMA’s Awards Show in 2007, where he earned both a Song Of The Year award as a co-writer of “Fork In The Road,” the title track of the year’s Album Of The Year by the Infamous Stringdusters, and the organization’s Broadcaster Of The Year trophy. The occasion marked the first time that both music and industry awards have gone to a single person. Chris had previously won an IBMA award for Recorded Event of the Year for his role in the album Larry Sparks 40. Since then, Chris has continued to draw attention for all aspects of his multi-faceted career, including a 2014 IBMA award for Print/Media Person of the Year for his widely read humor column for the bluegrass web site Bluegrass Today, and a second award for Broadcaster of the Year in 2015. 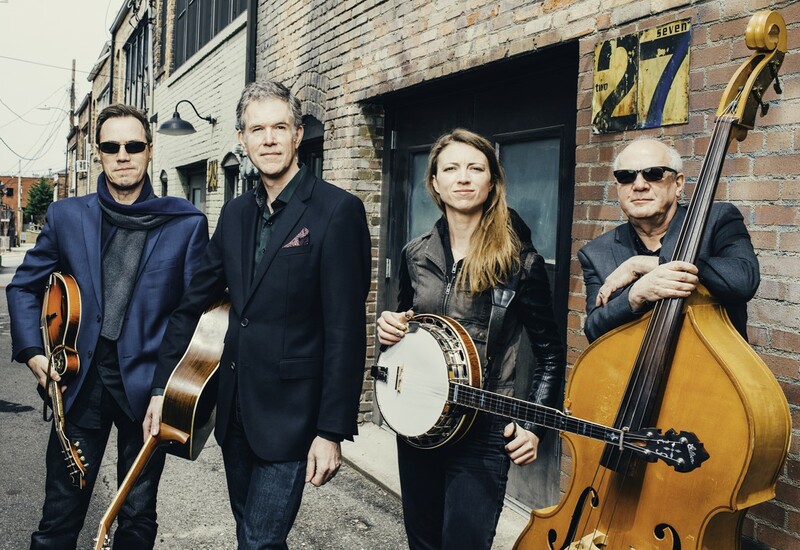 He and the band are currently signed to one of bluegrass music’s top record labels, Mountain Home Music Company, for whom they’ve recorded two critically acclaimed albums and generated five #1 songs on the bluegrass music charts. All together, Chris has had nine chart-topping songs, and has won six IBMA awards.